The Albany Common Council is again considering a proposal to allow people keep backyard chickens. It's an issue that has popped up every now and then. Common Councilor Tom Hoey of the 15th Ward once kept chickens in his Albany backyard. "I had chickens back in 2000, well actually '99, and then they passed a law that I didn't know about. I had two hens and my stepchildren, they were kids and they used to feed 'em and take care of 'em and go out and get the eggs. Then they passed a law sometime in early 2000. They came to my house, Animal Control, and said 'you have to get rid of the chickens.'" Backyard chickens faced a major test in 2011 when the Common Council passed a resolution OKing them, but, citing a number of shortcomings, then-Mayor Jerry Jennings vetoed it, stating in a press release that "... it does not address the core issues of urban agriculture in general. A more comprehensive plan will identify best practices, and include community input that develops a roadmap toward building a truly sustainable Albany." During a press conference Jennings said the ordinance didn't fit in with the city's 2030 plan. "The city right now is not ready to move forward with this." Hoey and fellow councilors Judy Doesschate and Owusu Anane are co-sponsoring new legislation for 2019. The timing seems to be favorable, with much talk about sustainability and concern over pesticides in the food chain. Hoey says the new package overcomes arguments that arose and eventually led to the 2011 veto. "We went through all the reasons for the veto and tried to address them the best we could. Things have changed from 2011. We have a landfill now that's almost full, there's more increased number of lyme disease with the ticks, so there is things going on now that makes it more maybe platable to allow hens to be back in the city." In addition to ticks, the birds eat other insects, weeds and table scraps. Chickens also came up during the 2013 mayoral campaign. Speaking at a candidate forum at WAMC’s Linda, Democratic hopeful Kathy Sheehan held out hope for hens. "I wanna look at this as part of an overall broader strategy for access to healthy foods, access to the people who live in our city, to be able to interact with community gardens, with the environment, for our children to learn about animals and where food comes from. So I think that we've gotta be broadminded about it." Now, a Sheehan spokesperson tells WAMC, "We worked with Councilman Hoey on this legislation. The Mayor is supportive of the Council’s efforts." Councilor Anane says hens don't need a lot of space, and aren't all that noisy, especially since roosters would not be permitted. It was a rooster's early morning crowing in Pine Hills that resulted in the 2001 animal-ban. Up until then it was legal to keep farm animals in city limits. "This is a step in the right direction, provided there's an appropriate regulatory framework that allows for community input. 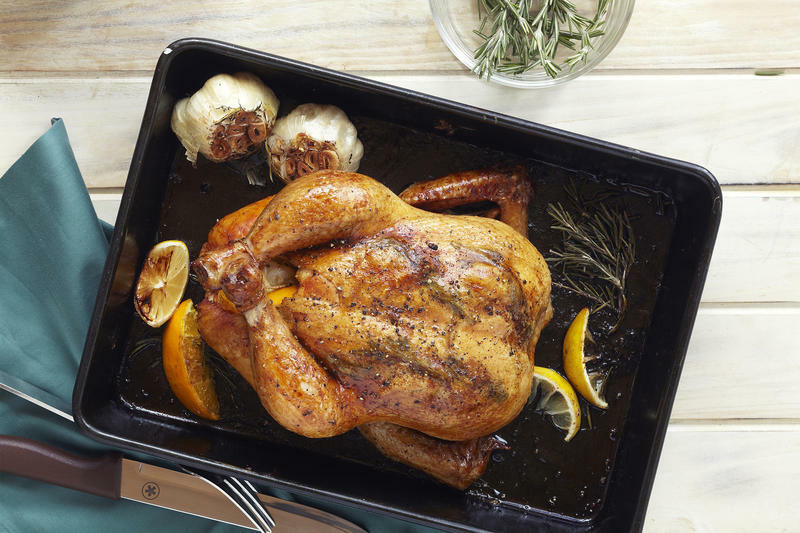 There's no reason that Albany residents should be barred from raising chickens." 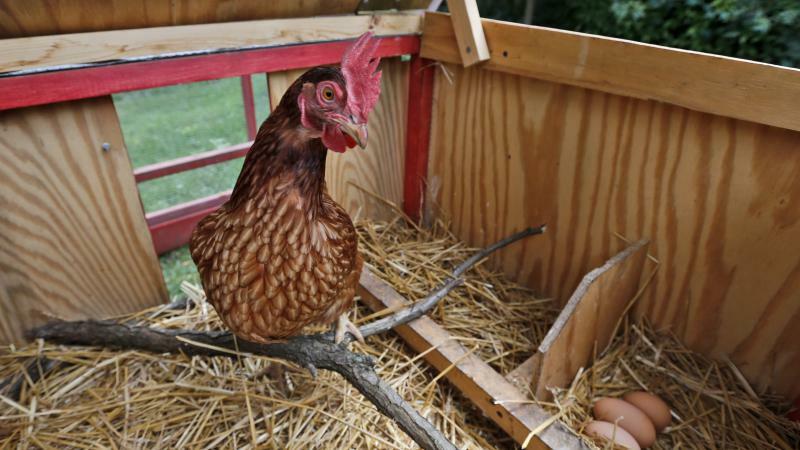 Troy, Syracuse, Rochester, Buffalo and New York City allow residents to keep hens. Anane said "I represent a very diverse district where we have middle to upper class families. We also have college students, young professionals, and also individuals who might be a little bit financially challenged. I believe that this could help those individuals with being able to save some money where they could raise their own hens to save eggs instead of going to a supermarket." Hoey says the legislative process is moving forward. "We're hopin' in the next few weeks that we can have the ward committee meet and have a hearing on it. There's already a couple of items that need to be heard. I'm not on that ward committee but I'll be able to go and present the reasons that we feel that this would be a good thing for the city." Hoey is confident the problems that came up the last time the legislation was introduced will be "fully addressed." "I really have a strong feeling that this should pass this time." You don't need us to tell you that backyard chickens have become an urban (and suburban) obsession. But here's what you may not know: The Centers for Disease Control and Prevention has documented a record high number of salmonella infections linked to these domestic flocks. "This year saw the largest number of illnesses linked to contact with backyard poultry ever recorded," the CDC writes in an investigation update. The idea of tending small flocks of chickens in urban and suburban areas is growing as more city leaders across the country pass regulations allowing residents to keep backyard chickens.